An awesome new task faces the spiritual person of the twenty-first century: the challenge to create a new spirituality for a new era. What is needed is a new way of seeing. We need to form a new vision of the sacred as the vibrant dimension hidden within the secular. We must find a way to end the separation, a way to join the two in a wedding, a fusion. 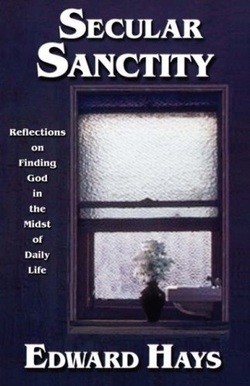 This wise and practical handbook for seeking the sacred in the secular world offers you 18 challenging essays on finding holiness in such everyday areas of life as hospitality, sexual spirituality, music, letter writing, sacred idleness and meditation.